The RGB color system is one of the most well-known color systems in the world, and perhaps the most ubiquitous. As an additive color system, it combines red, green, and blue light to create the colors we see on our TV screens, computer monitors, and smartphones. Although used extensively in modern technology, RGB color has been in existence since the mid-1800’s, and was originally based on theories developed by physicists such as Thomas Young, Hermann Helmholtz, and James Maxwell. 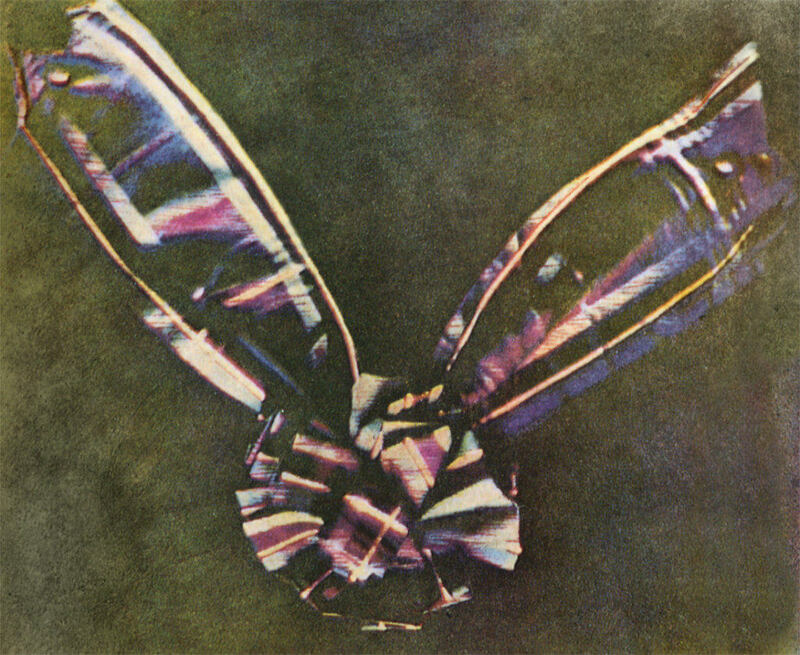 Some early examples of RGB color in use were in vintage photographs (the above photo was taken in 1861) and cathode ray tubes. In modern technology, LCD displays, plasma displays, and Light Emitting Diodes are also configured to display RGB color. How does RGB Color Work? The parts of the human eye that are responsible for color perception are called cone cells or photoreceptors. RGB is called an additive color system because the combinations of red, green, and blue light create the colors that we perceive by stimulating the different types of cone cells simultaneously. As shown above, the combinations of red, green, and blue light will cause us to perceive different colors. For example, a combination of red and green light will appear to be yellow, while blue and green light will appear to be cyan. Red and blue light will appear magenta, and a combination of all three will appear to be white. How Do You Use RGB Color? RGB color is best suited for on-screen applications, such as graphic design. Each color channel is expressed from 0 (least saturated) to 255 (most saturated). This means that 16,777,216 different colors can be represented in the RGB color space. Almost every well-known application is compatible with RGB, such as Microsoft Office, Adobe Creative Suite (InDesign, Photoshop, etc. ), and other digital editors. One of the major limitations of the RGB color system is that it doesn’t translate well to print, which uses the CMYK system. This has led to a great deal of frustration when people print out documents from Microsoft Office, only to have them turn out to be the wrong color. In addition, different devices often use different types of LEDS. This means that the same color co-ordinates do not display consistently across smartphones, TV screens, or even monitors. This can present some unique problems for professionals who work with precise digital color, from special effects to graphic or print design.